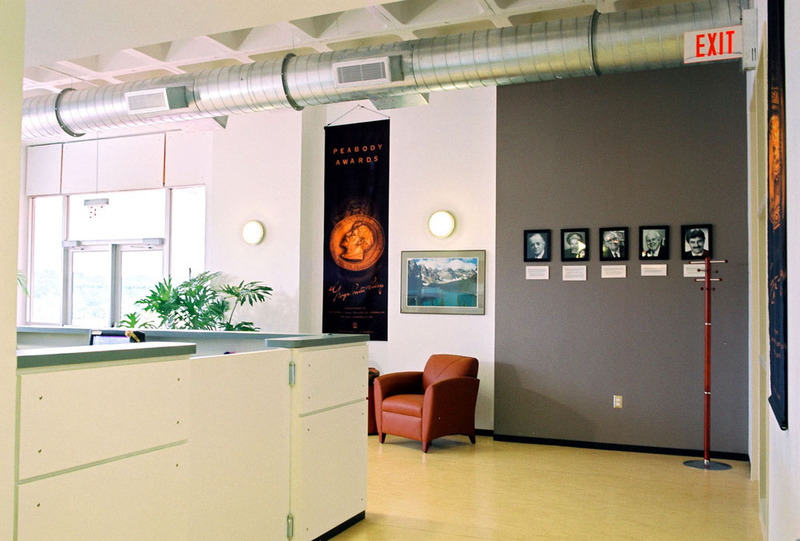 The Peabody Awards project included the conversion of approximately 5800 square feet of classroom and circulation space into an exhibition gallery for the distinguished Peabody Awards Program. 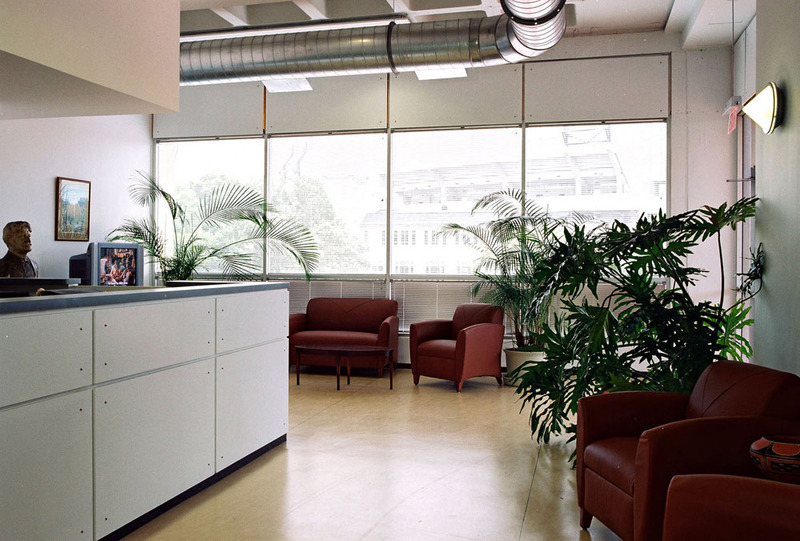 In addiiton, the plan included administrative offices, a conference room, and lobby area. 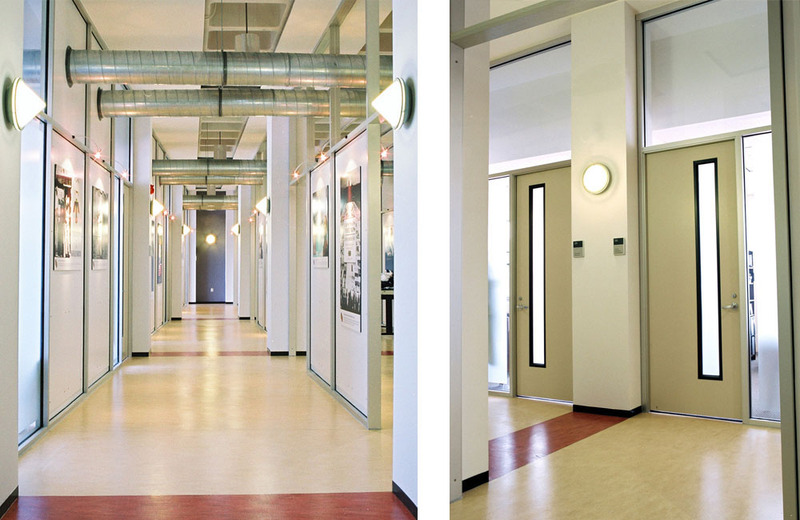 By moving their offices into a larger space at the building’s entry level, the program took a more prominent physical position in the building and allowed for the introduction of a grand central gallery that can be opened for exhibitions, receptions, and public visits, while maintaining privacy within the perimeter offices and work rooms. 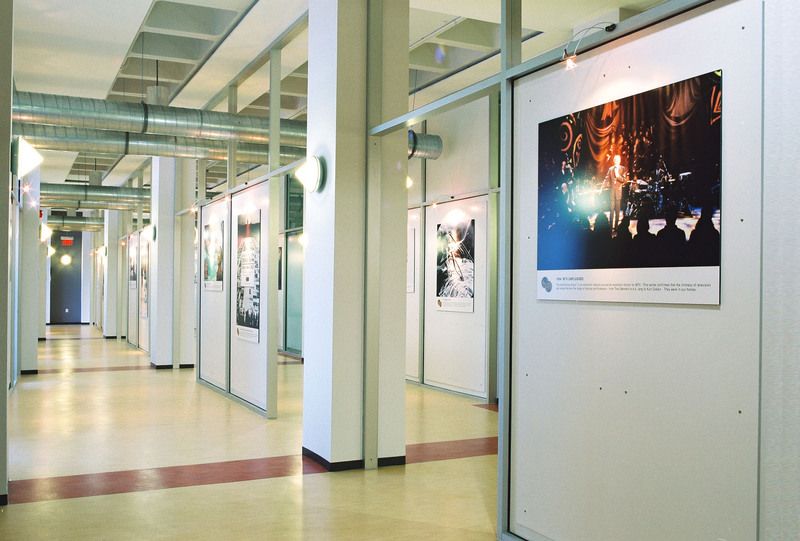 Tremendous height was achieved in the gallery space by removing the existing ceilings and exposing the building’s unique structure and mechanical systems.